We started discussing Colossians in our c.group last night, continuing our approach of reading a whole epistle in a sitting. I now can't imagine approaching Scripture in any other way, as it's really easy to misinterpret verses outside of the whole. 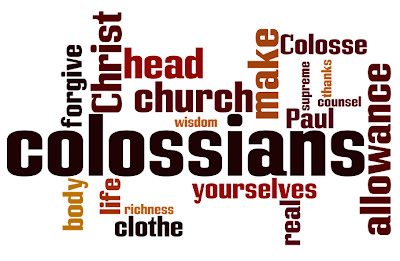 Colossians is, essentially, a manual on how to exist as a church body. It's addressed to the plural "you" (or y'all, as Amanda pointed out) not to the singular "you" that we often focus on as individualists in an individualist society. There's a whole passage about getting rid of anger, rage, maliciousness, greed, slander, etc. (3:5-9) that's just ripe for reading as a personal self-discipline list. But it comes right after a passage (2:16-23) about not getting sucked into rule-oriented behavior that puffs up by requiring devotion and rigid discipline. Paul's point is not personal piety. Rather, it is providing a simple statement about how social groups work: you (y'all) must set aside all that foments disruption by drawing attention to onself, and instead replace it with mutual submission to one another (3:10-25). That's the core of the book. It's not pushing a personal code of conduct, but is describing what does and doesn't work in successful corporate life together. "Make allowance for each other's faults," Paul says in 3:13. Why don't we see that on a bumper sticker? Does anyone even know that's in the Bible, let alone the central tenet of Colossians? "Let peace rule." "Teach and counsel each other." "Clothe yourselves in humility." "Let your conversation be gracious." "Always be thankful." You don't do this stuff to earn brownie points or gold stars or gain status, you do it because it's practical in achieving a loving community. If it seems like Paul is full of too many rules and regulations it's because he likes to say the same thing a hundred different ways until it sinks in. There is simply one main point here: since you love Christ, contribute to the healthy life of the church body, which is his family. Make allowance for each other's faults — Paul's just telling it like it is. Fortunately Corin was being cute and energetic rather than, say, whiny and rambunctious, and lasted not only the whole preamble but the whole movie as well. I was sure we'd have to leave by midpoint (and we probably should have, considering how we threw his bedtime off), but the boy loves "Mamma Mia." He watched it with us on DVD maybe nine months or a year ago and loved it then, and we occasionally launch into a hodge-podge rendition of singing its songs even now. He loves the music video on Youtube of Amanda Seyfried and clips from the movie. And I'm with him. 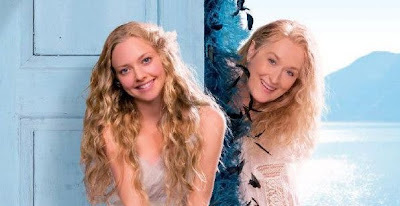 Before seeing "Mamma Mia" the first time I was an ABBA virgin, and I had enjoyed the songs and therefore the movie quite a bit. But I wasn't prepared for how highly unshakable their songs are. How they worm their way into your brain. How they feel insidiously familiar, as if the universe was born with these tunes hard-wired into its circuitry. Of any band, they're the one I'm most concerned sold themselves to the devil to make universally addictive tunes. This second time around I was surprised at how re-hearing so many of the songs were like visiting old friends. And how exquisitely romantic the filming was, now that my processor-brain was freed up for focus on it. It was all deeply disturbing and delicious. "Let's put the bacon back in the freezer; we don't want it to go bad." "It means we don't want it to get rotten." "Rotten is like when food ... goes ... 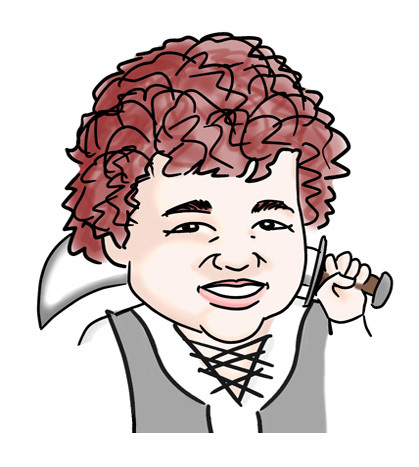 bad." "It's like when food sits out, and so it gets all moldy and gross." "I wanna see gross, Apa! What's gross?" At this point I actually started thinking through things in the fridge that probably had mold on them, before realizing that it probably wasn't a good idea to get him interested at all in exploring disgusting food. Corin was gifted a little plastic Toy Story horse several months back from the UPS pick-up window after he waited very patiently for our packages to be located. I couldn't quite remember what the character's name was, except that it wasn't Pokey, because that was Gumby's horse. Unfortunately, I murmured that to myself out loud. Several months later, after we saw Toy Story 3, I found the horse again and brought it out to Corin. "Look, it's Bullseye!" I told him. For going on two weeks now the horse's name is "Poke-eye." As in, with a sharp stick. I know tennis elbow is a thing, but how about toddler-swinging wrist? Corin's had a turn on a swing for 45 minutes straight for three days in a row now, and I'm beginning to feel it.